NASA’s Chandra X-Ray Observatory has observed very strange and distinctive X-ray signal coming from our Milky Way Galaxy that researchers believe can help them in proving the existence of the mysterious dark side of the universe. That is the claim of US scientists who analyzed the energy spectrum of X-rays gathered by Nasa's Chandra satellite who found more X-ray photons with a particular energy than would be expected if they were generated by the decay of dark matter particles, say the researchers. This is not the first time that scientists have seen extra photons with an energy of about 3,500 electronvolts (3.5 keV) in the spectra recorded by X-ray satellites. The researchers found that the strength of their 3.5 keV signal was consistent with data from Nasa's X-ray satellite, the Nuclear Spectroscopic Telescope Array (NuStar). With no obvious interference within the satellite itself, the researchers concluded that the signal is unlikely to be caused by instrumental noise. 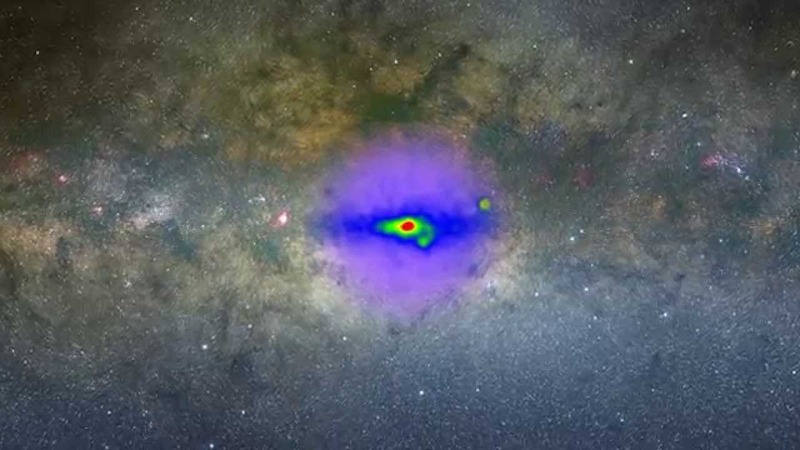 The latest research, which targets relatively light particles of dark matter, has been carried out by Nico Cappelluti of the Yale Center for Astronomy and Astrophysics in Connecticut, US, and colleagues. His colleague, Esra Bulbul of the Kavli Institute for Astrophysics and Space Research at the Massachusetts Institute of Technology (MIT) was the first scientist to spot an anomalous line at 3.5 keV, when looking at the X-ray spectra of large numbers of galaxy clusters in 2014. Researchers elsewhere have seen a line with the same energy in spectra from a variety of other objects, including the Andromeda and Milky Way galaxies, which are thought to be enveloped in a bubble of dark matter. The researchers are heartened by the fact that four different satellites have now seen the same signal but are not ready to claim discovery of dark matter because, they say, it is still possible that their result is a statistical fluke – that the Chandra Observatory just happened to snare more X-rays with an energy of 3.5 keV than it did others. "As we collect more and more X-ray data, the evidence for the 3.5 keV line is growing and growing," said Cappelluti.